Den find ich überladen, zu hektisch. War ein Tipp aus meinem Warner-Newsletter. 12.11.18: Diese Version, die ich jetzt höre, wirkt gar nicht überladen. 3 => 5. 02.12.18: Darauf macht meine Tochter mit ihrer Tanzgruppe den aktuellen Tanz. Kurz vor der Höchstwertung. So schlecht ist dieser Song nun auch wieder nicht. Zumindest hat sie es in die Charts geschafft. eine der besten nummern aktuell in den Charts. Ziemlich belanglos. Bei uns im Mittelfeld, in der CH unglaublicherweise #2. Scheint dort mittlerweile auch genug Irre zu geben. After smashing Scandinavia this is now conquering the rest of the continent and, well, I guess this is a case where the song title and cover art promise more than the song delivers. That said, there is something oldschool about it as it reminds me of 2009-2011 era pop. However, it is rather unfortunate that it does remind me of Natalia Kills which was rightfully then labeled as 'poor mans Gaga'. I guess there is potential for this to grow on me when radio starts to hammer it but first impression says very average. In den letzten Jahren war pure Pop-Musik wie es Lady Gaga vor zehn Jahren wieder populär machte etwas weniger präsent, viel mehr drehte sich alles um Dance-Songs von DJs oder um R&B/Trap-Tracks. Trotzdem gab es immer wieder Geheimtipps, und viele davon waren sehr vielversprechend... dass es nun Ava Max aus dem Nichts heraus mit einem puren Pop-Song gleich vom Stand weg so erfolgreich ist, ist daher doch überraschend, aber ich als Pop-Fan begrüsse diesen Überraschungserfolg sehr. Der Song selbst ist gut und vor allem extrem eingängig, da vergebe ich gerne 5*. Endlich mal wieder ein Granatensong auf Platz 1 bei uns. Ist zwar bereits vielerorts die Nummer Eins, trotzdem bin ich noch eher früh dran mit meiner Behauptung, dass dies der erste ganz grosse (Radio-)Hit 2019 werden wird! Definitiv ein Ohrwurm. Da ich (fast) nie Radio höre, werde ich ihn auch nicht so schnell ÜBERhört haben. Und die Sia-Stimme dürfte dazu beitragen, dass sie kein One-Hit-Wonder bleibt. Kann man hören, aber für mich halt nicht mehr als ein relativ durchschnittlicher Chartssong! Geht klar als Hintergrundberieselung im Kaufhaus. In der Tat ein netter Popsong! Based purely off of this song, the Lady Gaga comparisons are unfounded. This lacks personality, but has an alright chorus. It's quite poorly written unfortunately (much like this review, hey). It's been flogged to death by radio too. 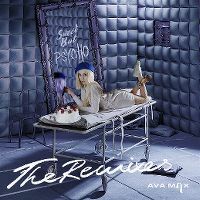 Personally, I prefer "My Way", her debut single, to this, and wish that My Way was a hit rather than this, but am happy that Ava has started to take off. I get why this has been a hit, even if it isn't as good as it could be (but I really don't understand why Spotify tried so hard to make it a hit). *Also, for all the people comparing her to Lady Gaga; she sounds much closer sonically and lyrically to Wynter Gordon or even Maggie Lindemann. (Her voice also reminds me of Eva Simons, most famous for her feature on Afrojack's "Take Over Control", for some reason :P). Terecht een dikke nummer één-hit in de Ultratop voor Ava Max. Een aangename kennismaking dus. I can hear the Lady Gaga comparison easily reminisant of early The Fame era in particular 'Bad Romance' & 'Poker Face'. But anyway it's a poor mans effort and band waggoning the whole retro psycho hip style at present. This will be the song that will save pop music and there's several reasons for this. First off, the production of this track is absolutely amazing and fire. It's not overly complex but you know it hits hard. Now, the vocals and lyrics itself just combine itself together to give a sense of a story, and it's just so gosh damn catchy! 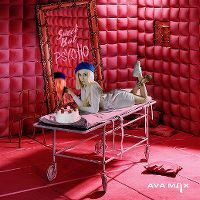 Die Erste grosse Nummer von Ava Max. So einen guten 1.